Chad returns with yet another episode featuring the HISTORIC Green Lantern and Green Arrow run from creators Denny O’Neil and Neal Adams! In this issue Hal encounters government corruption and environmental issues! Also featuring the return of Black Hand and appearances by Carol Ferris, Oliver Queen, and ‘Pretty Bird’ herself Dinah Lance! Listen in and see how it all ties in! Please leave a voicemail at 708-LANTERN! CLICK HERE to read the Original 1954 Comics Code! CLICK HERE to view the Earth Day 1970 CBS Broadcast! Music – ‘Everything Has Its Point’ by Rival Schools. 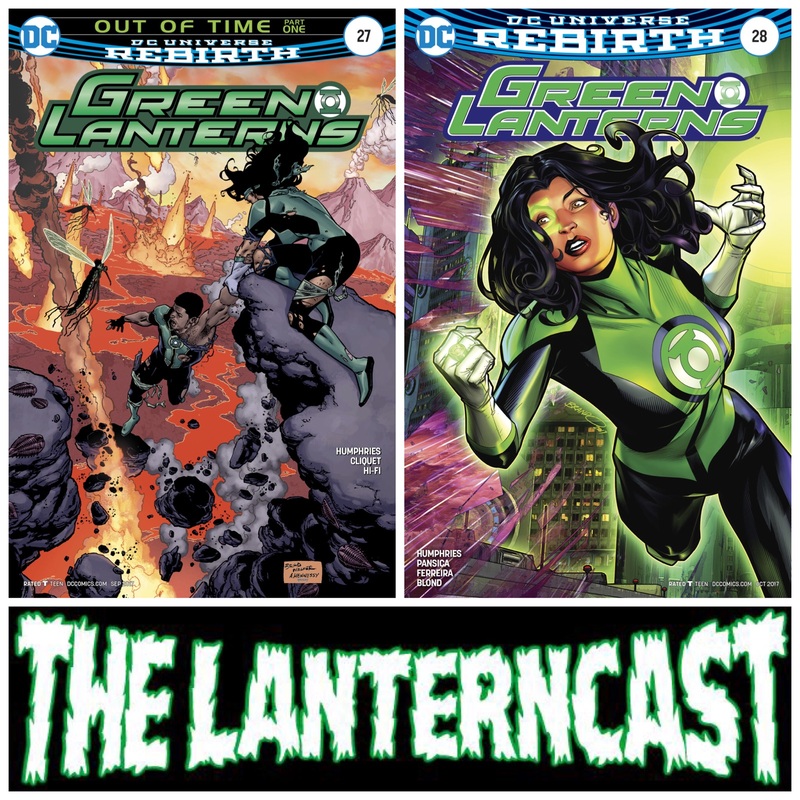 LanternCast Episode #291 – Green Lanterns #27-28! Jessica and Simon are “Out of Time” as they end up in a very strange place thanks to their previous encounter with Volthoom in Green Lanterns 27-28! Learn more secrets of the universe and meet the First Seven Green Lanterns united! All that and some listener feedback! Be sure to email us your thoughts or chime in on our voice-mail at 708-LANTERN! 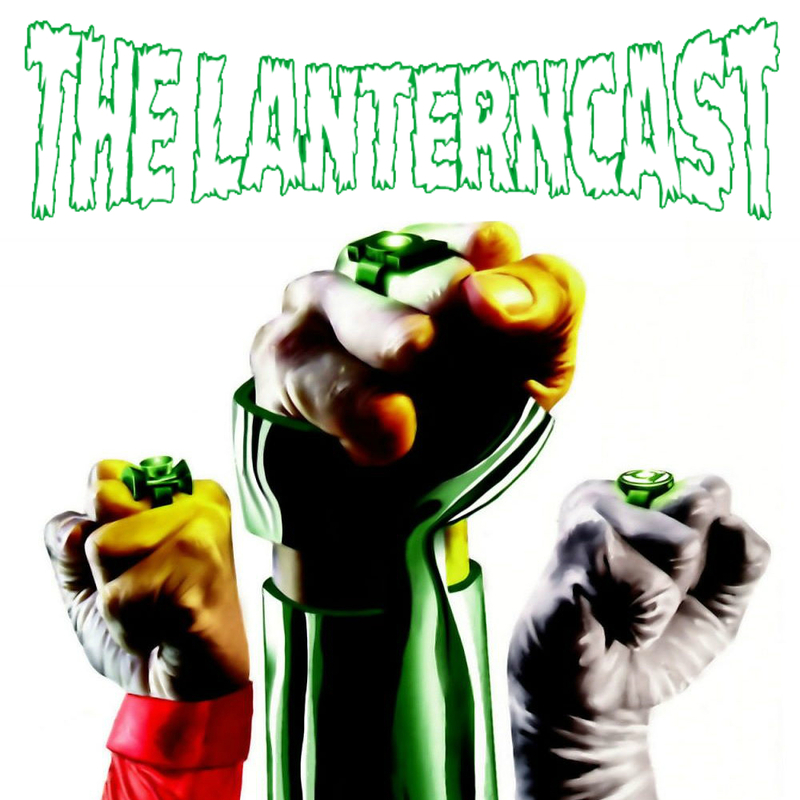 LanternCast Episode #290 – Fear Itself! Chad and Mark take a break from regular issues to cover a story they’ve wanted to do for a LONG time: “Fear Itself”! The 1999 fully-painted graphic novel by Ron Marz and Brad Parker features Alan Scott, Hal Jordan and Kyle Rayner as all three lanterns square off against the same powerful monster during different eras and circumstances! Throw in some insights from Ron Marz himself and some Game of Thrones talk, and this one’s well worth the listen! Check out the preview of Ron Marz’s Dread Gods HERE! 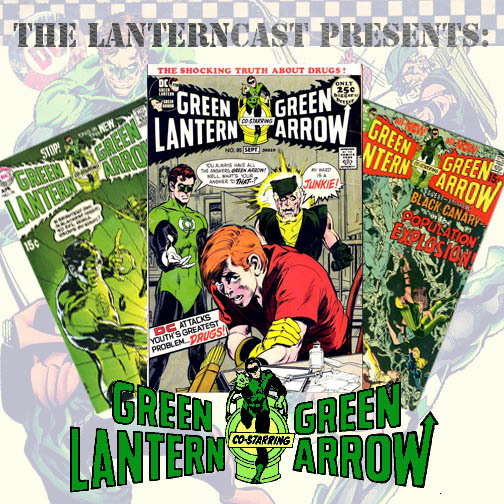 LanternCast Episode #289 – Hal Jordan and the Green Lantern Corps #24-25! 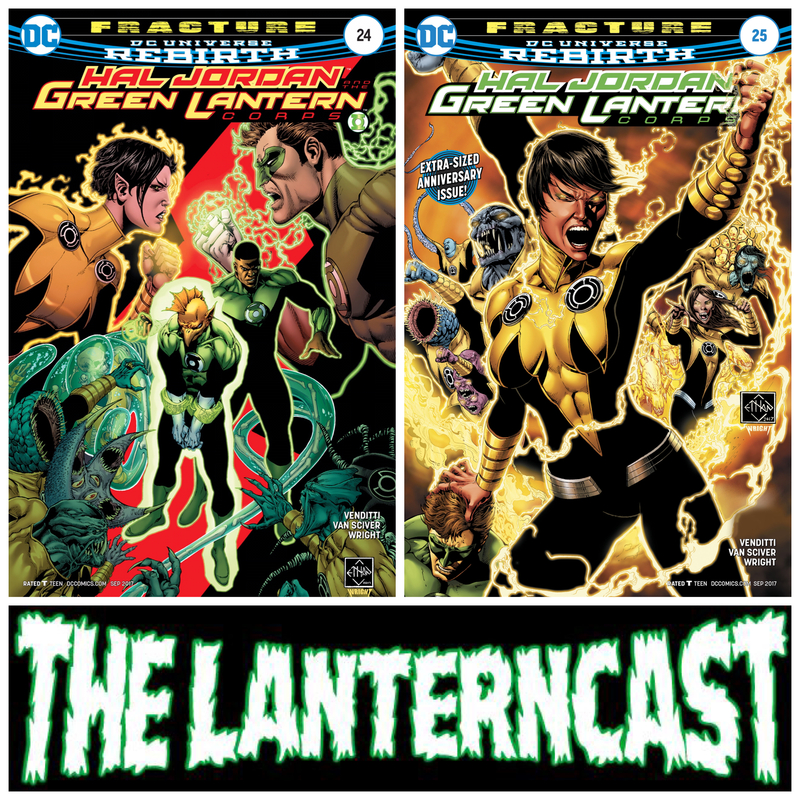 “Fracture” explodes as the partnership between the Green Lantern Corps and the Sinestro Corps reaches the tipping point in Hal Jordan & the Green Lantern Corps 24-25! Tomar Tu deals with his sins while Sora and Kyle have a “lovers spat” that gives rise to an all-new Sinestro! And more cuteness with that Vuldarian Spy Imp! We also include listener feedback because we’re that kind of people! Email your thoughts or chime in on our voice-mail at 708-LANTERN!